You’re going to love these...whether starting a new project or adding to an existing one, your imagination will sparkle with Inspired Beginnings™! These beautiful limited edition color packs have been hand selected and specially packaged by our very own QuiltHome Angels...ready for your creative expression. Discover the endless possibilities with Inspired Beginnings™! 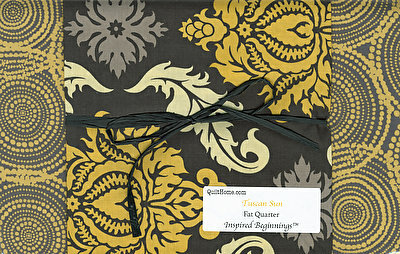 This Inspired Beginnings™ contains 7 fat quarters hand selected and color coordinated by our QuiltHome Angels.